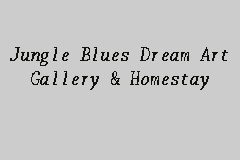 junglebluesdream art gallery & homestay is the only combined art gallery and homestay in a longhouse in Sarawak. It is owned and operated by Bario born Kelabit, Stephen, and his Danish wife Tine. We occupy three units in the recently constructed Ulung Palang Longhouse which is located centrally to all walks in and around Bario. The longhouse is on top of a hill. You are able to enjoy beautiful scenery of the surrounding paddy fields and mountains from our balcony. In the art gallery, which is also our living room, we exhibit Stephen's paintings. My spouse and I just returned home after spending a month traveling in the Borneo States/Malaysia. During that time, 'THE BEST' stay was our time spent at Jungle Blues Dream Art Gallery & Homestay. It was the highlight of our travel! Stephen and family made our stay pleasant and most enjoyable. It is well worth the effort to go to Bario; food and lodging at Jungle Blues Dream was a great value. Location, location, location!!! We are anxious to get our purchased Art stretched and on our wall. Liked: A beautiful atmosphere, extremely friendly hosts, very clean rooms and extraordinary food. Without a doubt the best place we have stayed in Borneo.